Kass Kennedy is in the spotlight, thanks to Dad. He plans on selling her soul to the Devil – or at any rate to Simon Cowell. So when she finds herself pushed into an X-Factor audition, what should she do? She can’t even sing her way out of a paper bag! Kass could just say no, but her dad’s manic-depressive mood-swings are guilt-tripping her, and she’s caught in an emotional trap. Just when things could hardly get worse, Kass falls for a gorgeous older boy, also named Cass. He seems to like her – but he’s her best friend’s long-term crush. What’s a girl to do? Real-life and fantasies collide in this hilarious and touching story of a girl, her dreams and other people’s expectations. 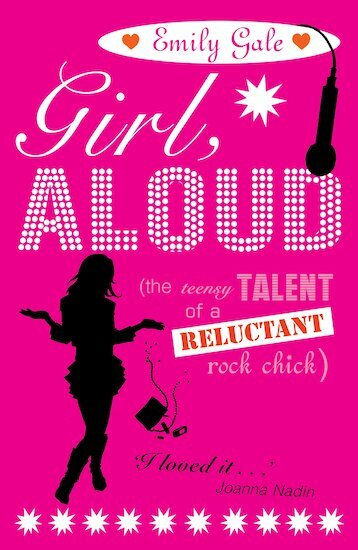 Emily Gale, author of Girl, Aloud, was born in London in 1975. Her nickname as a child was Kojak (for younger readers, that is a 70s television show about a big bald man who sucked lollipops and solved crime). She once very nearly trod dog poo in Joan Collins’ house, but was saved by a leaf and a bottle of Chanel No. 19. She is scared of chickens, but not spiders.